I met David four years ago on Mother’s Day. My own mother, being the selfless and devoted life giver that she is, encouraged me to take a gig on her day. “You gotta work when you can work,” I remember her saying as I asked if she would mind me being gone that afternoon. So I showed up to do family portraits at a big fun family party in Yorba Linda. It made me miss her and regret my decision to work. There were a few people running late so I hung with the family for quite some time before getting down to business. I struck up convo with David, a photography enthusiast, who was interested in starting his own wedding photography business. 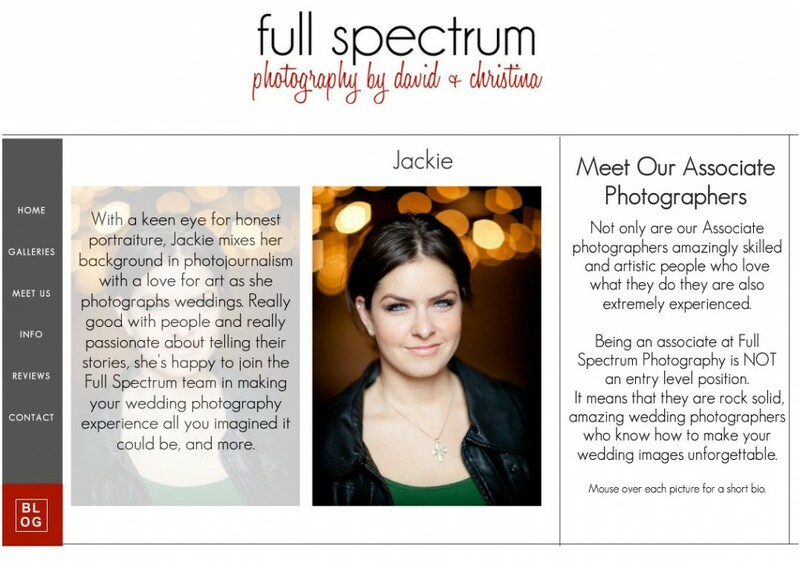 Fast forward to current day awesomeness and David and his wife Christina are thriving with Full Spectrum Photography. Their work is fantab and I’m stoked to share that they’ve asked me to contribute to their team. This means that not only will I be second shooting for them from time to time, but also taking over a few of their weddings and events when they’ve got multiple bookings. Awesome by association. On multiple accounts! I made it to my own mother after that Mother’s Day gig, of course. She was happy for me to be working then, and I know she’s even happier I’m working even more now. If I’m awesome at all, it’s because I get it from her. PINMEThanks to the awesome of the most high Robb Davidson of Robb Davidson Photography for this stellar headshotty that I use every chance I get. 🙂 I’m definitely more awesome just from knowing him. Abigail Ann - With this logic then I am awesome by association with YOU!